Apartment block Apartment Av Rhode 89 Roses has 5 storeys in the centre of Roses, in a central position. 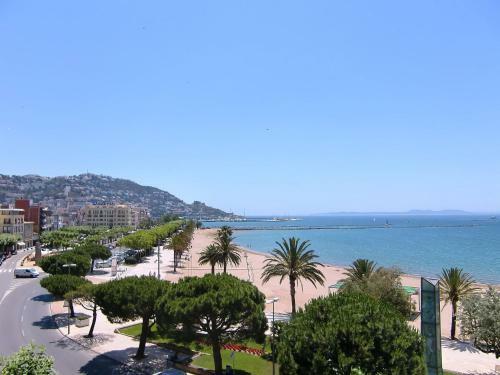 It is only 25 m from the sea, directly by the beach, road to cross, on a main road. In the house there is a lift. Shop is in 20 m, supermarket in 500 m, restaurant, bar in 20 m, bus stop in 500 m, railway station "Figueres" in 15 km, sandy beach "en Roses" in 25 m distance. Sports harbour is 2 km away and golf course in 15 km distance. Please note: There are more similar properties for rent in this same residence.